You have to admit, there is something oddly satisfying about reading a murder mystery or a thriller. You might find the plot just a little ludicrous and the characters kind of flat and insipid and the writing somewhat choppy, but you know that you won’t be at peace till you find out who did it. We are a macabre lot. We are absolutely fascinated by perfect murders, and we actually enjoy that feeling of trepidation, the slight discomfort that slowly creeps into our minds and sticks on like a piece of toffee. Yeah, not so much in the case of Sudhir Thapliyal’s Mansuri, Macabre. He gets the pace and the build-up right, and the writing’s nicely quirky in places, but the novel ultimately leaves you with a mildly grumpy expression on your face. The book begins with a prologue full of profound-ish questions about life and death and promises that the following chapters don’t exactly fulfil. Set in the fictional hill town of Mansuri, the story revolves around the lives of two sisters who turn to religion in an attempt to make something of their (post-heartbreak) empty, dreary existence. Unfortunately, in the process, they find not solace or spiritual harmony, but duplicitous, self-proclaimed godmen who throw their already troubled lives into further turmoil and ultimately lead them to a tragic end. Mansuri, Macabre doesn’t work like a conventional murder mystery because we come to the murders and the surrounding mystery only towards the close of the book. Most of the novel focuses on the individual stories of the characters that bump into each other conveniently and consequently set off a chain of events that lead to what is, in my opinion, a rather bizarre climax. I like the fact that Thapliyal chose to piece the story together bit by bit, using excerpts from diary entries of some of the characters, interspersed with the main narrator’s voice, instead of just presenting a straightforward account of the events. Having said that, it fails to achieve the effect that a novel like Shashi Tharoor’s Riot, which has a similar sort of narrative, has on its readers. The novel offers some interesting insights about the murky world of godmen in India, reminding us how strongly our society is rooted in superstition. The two sisters, Kamlesh and Pappi, though highly educated and seemingly independent-minded, still walk straight into the trap set for them, enticed by the promises of a more meaningful existence. There are many other smaller instances in the story where the characters prefer faith to logic to guide their decisions. 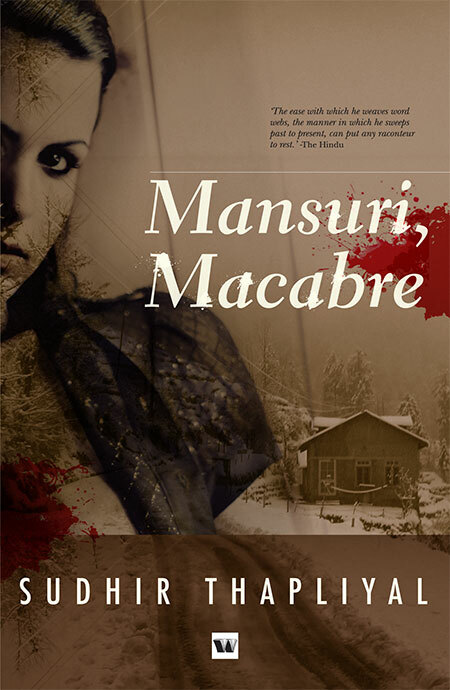 Mansuri, Macabre a fairly decent read, as long as you create the atmosphere. I’d suggest you wait for a rainy evening to read this.